The Centre has said the entry of illegal migrants is clandestine and surreptitious. It said accurate figures are not available on the number of such illegal migrants. Meanwhile, Rijiju said a revised procedure for detection and deportation of illegal Bangladeshi immigrants has also been set out and circulated to the State Governments and Union Territory Administrations in November, 2009, which has been partially modified in February, 2011 and further modified in February, 2013. “The procedure includes sending back then and there, the illegal immigrants who are intercepted at the border while entering India unauthorisedly,” Rijiju said. He informed the Central Government is implementing a Mission Mode Project on Immigration, Visa and Foreigners Registration & Tracking (I.V.F.R.T.) which will facilitate improved tracking of foreigners by integrating and sharing information captured during visa issuance at Missions, during immigration check at the Immigration Check Posts (ICPs) and during registration at the Foreigners Regional Registration Offices (FRROs)/Foreigners Registration Offices (FROs). 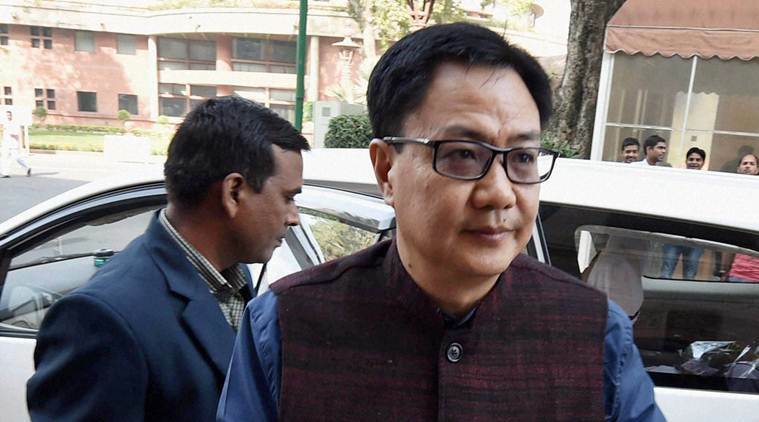 “As and when a foreign national is detected to be overstaying in India violating the visa rules or found to be staying without any valid travel documents, necessary action is taken under the relevant provisions of the Foreigners Act, 1946 including deportation of such a foreign national,” Rijiju said. He said illegal immigrants fall into two categories – (1) foreign nationals who have entered India on valid travel documents and found to be overstaying and (2) foreign nationals who have entered into the country without any valid travel documents. In the first category, 7,685 foreigners were found to be overstaying as on 31 December, 2016. There are also reports of foreign nationals having entered the country without valid travel documents. “As entry of such foreign nationals into the country is clandestine and surreptitious, there is no correct estimate of the total number of such illegal immigrants staying in the country,” he said.